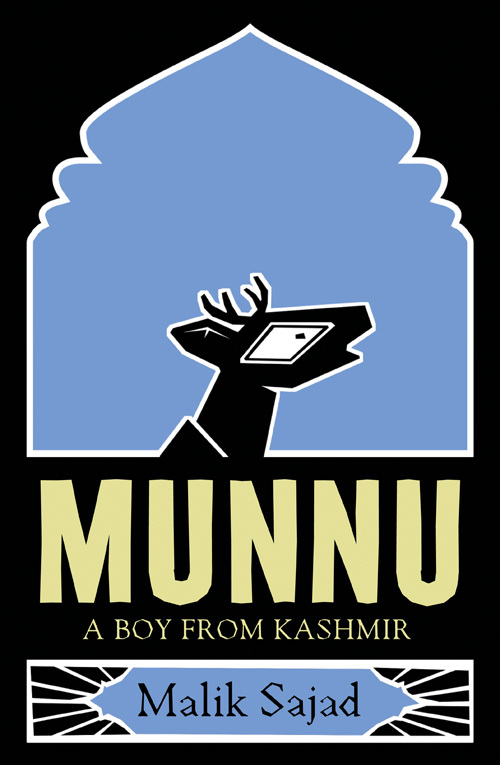 MUNNU, the graphic novel published by 4th Estate this month, is the astonishing debut from Kashmir based illustrator Malik Sajad. We asked Malik about the concept of the novel; where did the idea come from? 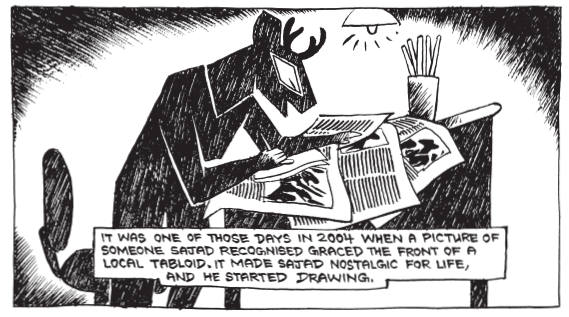 Why a graphic novel? What is it about the Kashmir’s torrid conflict you wanted to explore? I came to know about this medium around 9 years ago. There were no graphic novels in the bookstores in Kashmir. Initially, I thought it was about visual journalism because whatever graphic novels I had seen were mostly about reporting which I didn’t enjoy and wasn’t particularly good at. As I delved deeper into this genre I found more graphic novels in which the stories and the visuals were more relaxed and focused more on communicating experience. It was wonderful for me to see the possibilities that this medium could offer in terms of storytelling. While I wanted to capture what are essentially stories about everyday people, my stories are also about Kashmir. Most of the people I have met while travelling didn’t know about Kashmir. Even one of my classmates from China didn’t even know where it is – China is next door to Kashmir. Those I met who did know about Kashmir had a very scant understating from what they had seen in the news. So one of my challenges was to introduce and open a wider window to Kashmir for the reader. I had to talk about its geography, geopolitics and history before talking about life and experiences. There were many footnotes as well which was alright but when you talk about history there are many layers, missing or covered up passages and interpretations, it is a lot of information to distill. Because Kashmir is still very far away from recovering from its troubled past and present, and only recently people have started writing about post colonial legacy in Kashmir in new mediums and languages, you always feel like you are the first one to delivering the story. It puts a lot of strain on the storytelling. It was challenging in other ways too. It is hard or next to impossible to speak for everyone. But the basic universal elements of human experience such as emotions, hunger, desire, satisfaction provides room for exploring the underlying theme of every story. In order to create a sort of cinematic experience I wanted to show the presence and importance of something before one loses it. Usually, life begins with hope. But I had only witnessed violence in Kashmir. But then there were also the routine details of life that are part of one’s childhood. So in the story I focus on minute things like copying pictures from the newspapers and eating sugar. I gave priority to those moments I had enjoyed the most as a child – family life. 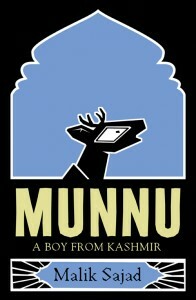 Munnu starts as a seven year old kid and his hopes and life could have been like that of any child in the world. As I mentioned, it is really hard or next to impossible to speak for everyone. The conflict in Kashmir shook the region like an earthquake. Everyone witnessed and felt the devastating tremor; some houses fell and the families were buried, some houses developed cracks and some stayed unharmed. This changed the face, structure and traditional landscape of Kashmir forever. In Kashmir, everyone has seen a lot and everybody embodies a unique perspective and story. In Munnu, I am speaking from my perspective and experience. My intention is to place the reader in these experiences to discover different facets of Kashmir the way I did and to struggle with the process of making sense of it all the way I have. I didn’t intend to bring the reader to any one liner sort of conclusion about Kashmir except that every living species is endangered like the Hangul deer, the national animal of Kashmir. Life is precious in Kashmir just like it is everywhere else. To find out more about our books, events and competitions, sign up to our newsletter.